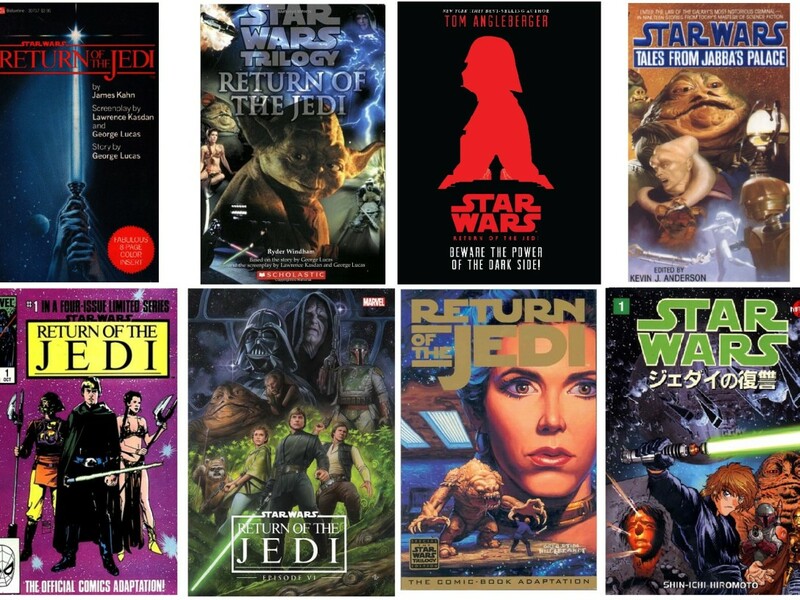 Ever since the original Star Wars was released in 1977, fans have always been dreaming about living in that galaxy far, far away. 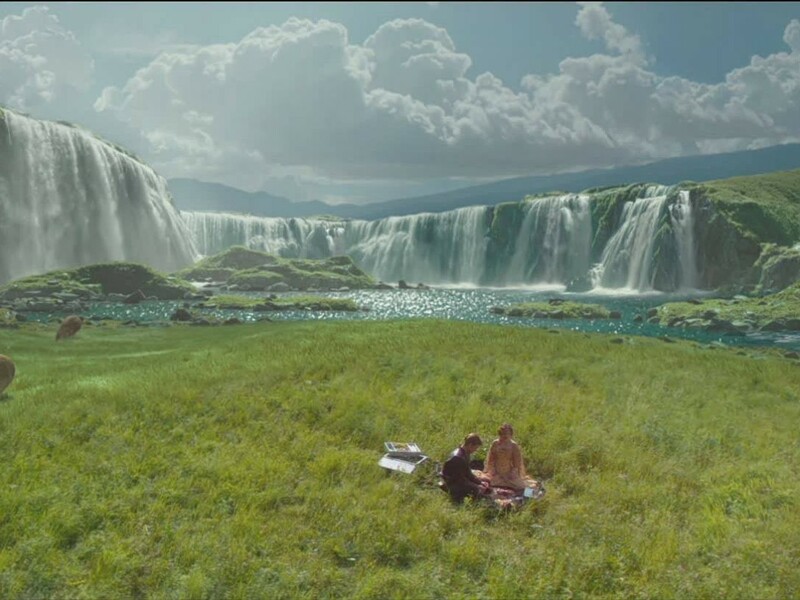 While that may be just a little difficult, there are still the real-world locations that served as various worlds during filming, and they can be visited. In Galactic Backpacking, we explore these locations by country, looking at their histories and current attractions. 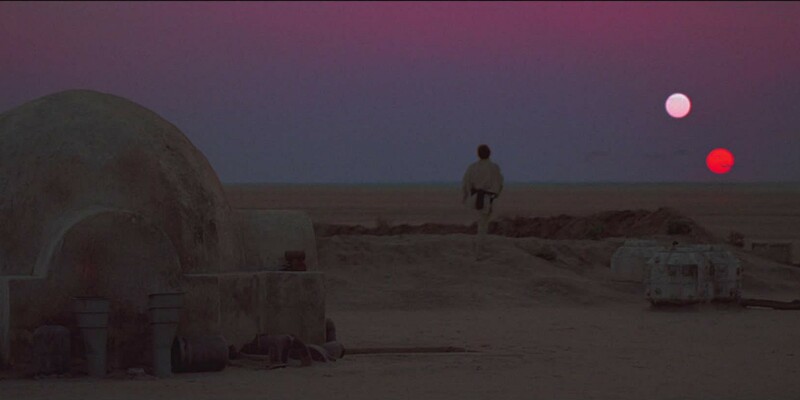 The planet of Tatooine may very well be the most important planet in the saga. It was here that Luke watched the twin suns set in the sky, where Qui-Gon battled against a Sith Lord, marking their return to the galaxy, and where Anakin Skywalker and his son Luke grew up. It is also the only planet that appeared in five of the six movies, receiving a mention in the one movie it was not seen, The Empire Strikes Back. 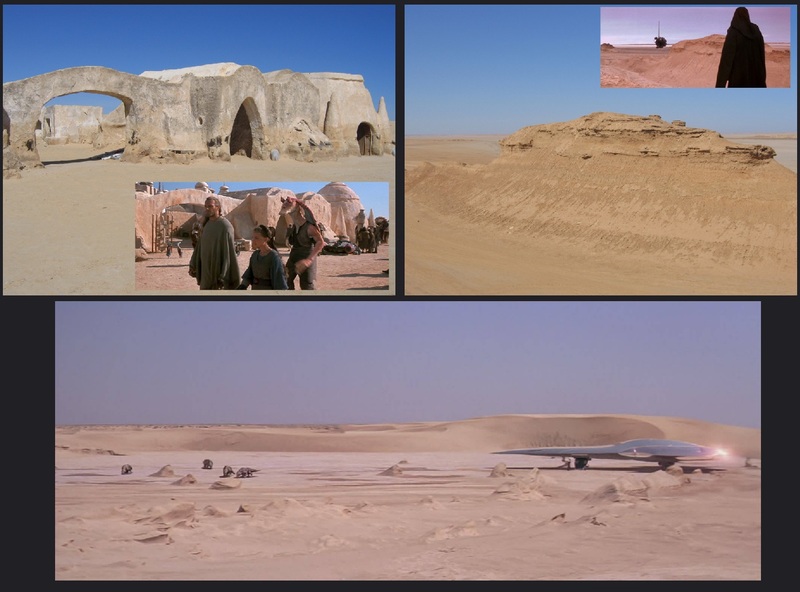 We start to explore this planet by going to the country where most, but not all, of the exteriors shots were filmed: Tunisia, maybe the most famous of Star Wars locations. Tunisia (officially the Tunisian Republic) is a country in the northern part of Africa that shares its borders with Libya to the southeast, Algeria to the west, and the Mediterranean Sea at the north. With its close proximity to Italy Tunisia has the second and third largest nearest points of the African continent after Gibraltar. With the country spanning an area of almost 165,000 square kilometers (64,000 sq. miles) it is the smallest Northern African country, with an estimated population just shy of 10.8 million citizens. Since the revolution of 2011, the country became a consolidating democracy with free elections. The country shares many diplomatic and close relations to Europe, in particular France, resulting in an official recognizing of the France language as the national language next to Tunisian Arabic. Tourism is an important part of the Tunisian economy and its location with the Mediterranean Sea, along with the sunny weather, makes it ideal for beach holidays and after the revolution more and more spas and other coastal resorts have sprung up and continue to be developed. Besides the beaches the country has cosmopolitan cities like Tunis and the ancient ruins of Carthage. Official languages: Arabic, but many Tunisians are bilingual with French as the second language. English is of limited use, but fine for use around tourist areas. Climate: in the north Tunisia’s climate is temperate, with mild rainy winters and hot, dry summers. The south of the country is desert. Visas and immigration: Only a valid passport is required for citizens of most European countries, USA, and Canada. A landing visa (on arrival) is available for Australians. For New Zealand, other African and Asian countries’ nationals, a visa must be applied for at the embassy of coverage. Safety: Due to the recent revolution you should check with your foreign office to check on current conditions before traveling to Tunisia. Theft of belongings, even from hotel rooms and room safes, is widely reported and the usual caveats apply — keep valuables in a secure place (e.g. supervised hotel safe deposit), do not flash too much cash, and keep wallets, purses, and other desirable items where pick pockets cannot reach them. Best time to visit the shooting locations: Late spring or late autumn. 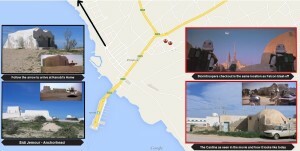 Map of Tunisia showing the shooting location and other important destinations. There are actually a lot of airports in Tunisia serving both national and international flights. The main international airport is Tunis-Carthage International Airport (IATA: TUN) near Tunis, followed by Habib Bourguiba, Skanes-Monastir (IATA: MIR) to which many low cost companies from Europe fly to. If possible fly directly from Europe to Djerba–Zarzis International Airport (IATA: DJE), but if you cannot fly directly there and you have to stop at a different Tunisian airport, then it is well worth your time to find a connecting flight to Djerba from Tunisair, who flies daily national flights to and from the most important airports with tickets for a reasonable amount. To visit all the locations it is best to rent a car and take a drive through the country, but be warned: a rental car at the airport costs much higher than the same car would be if you would rent it in the city. The roads themselves are a mixed bag; while there are quite some highways that resemble those in Europe and the US, the further you go from Gabes (a city not too far from Ajim) the quality of the roads deteriorate. Navigating around in cities can be a difficult situation due to not all streets having names, and if they do they are not always used by the locals either. While the follow itinerary seems to be the most logical choice, it is always possible to change the direction (starting in Tunis), expand on it with more days spend in any of the cities mentioned (which can be recommended) or changed completely by skipping locations or flying back from somewhere other than Djerba like Tozeur-Nefta Airport or Tunis. The locations in and around Ajim. On the island of Djerba you will be able to start your location traveling with quite a few nice and important ones, namely the cantina exterior, Anchorhead, and the home Obi-Wan Kenobi lived in during his exile. You will find the cantina in the city of Ajim, near the south of the island where the ferry is located. It is here that you will face your first test with the streets that have no names, but if you print out the above map, you should be able to find it. The GPS coordinates to this location are: 33°43’26.69″N, 10°44’59.95″O. The building is now no longer in use, but was originally a bakery. Nearby the cantina is also the site where the sandtroopers stop Luke, Obi-Wan, and the droids in the landspeeder and where the sandtroopers see the Millennium Falcon blasting off and leaving Mos Eisley. 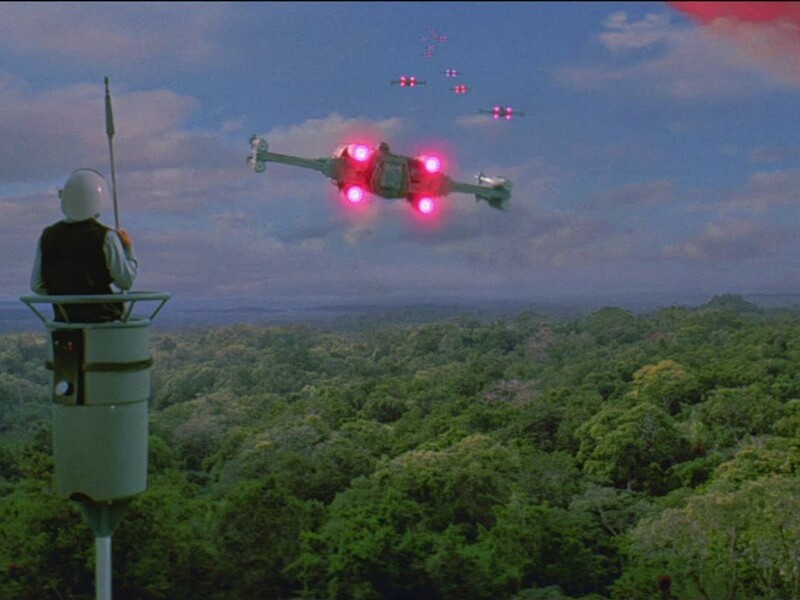 This location can be tricky to find due to a lot having changed in the last 38 years, also the production crew used a lot of set dressing like the extra domes that they put on flat roofed buildings and crashed spaceship junk to cover trees and electric telephone lines that ran above the ground. So make sure you have plenty of good reference pictures with you. Luckily the other two locations on Djerba are easier to find. Follow the marked coastal road from the map, and within five minutes you will see the familiar building of Obi-Wan’s Tatooine home. Funny contrast is that this location looks much nicer in reality, with the backdrop of the Mediterranean Sea, than the dusty isolated outpost in the desert that it appears to be in the movie. This building is now used by local fishermen to store their supplies. Even further up north on the same road, for some 10-15 minutes more, you will arrive in Sidi Jemour. 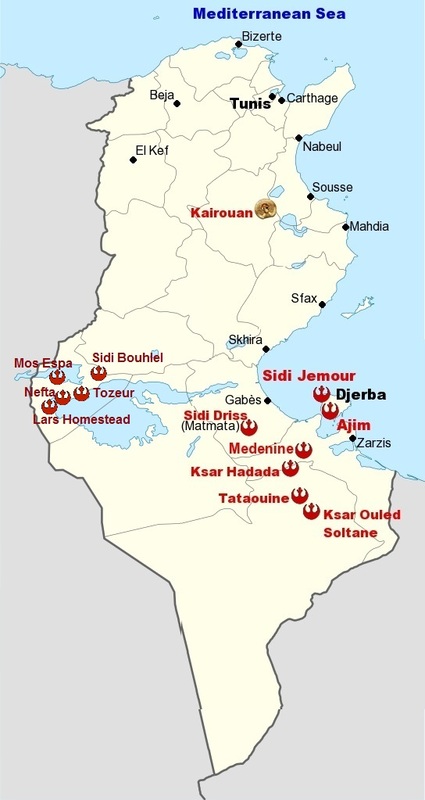 Sidi Jemour was primarily used to portray Anchorhead and Tosche Station from the deleted scenes where Luke spoke to his friends Biggs who told him he was joining the Rebellion. This big building is quite recognizable when you approach Sidi Jemour. The building stands on an inlet used by fishermen and is these days used as a mosque. 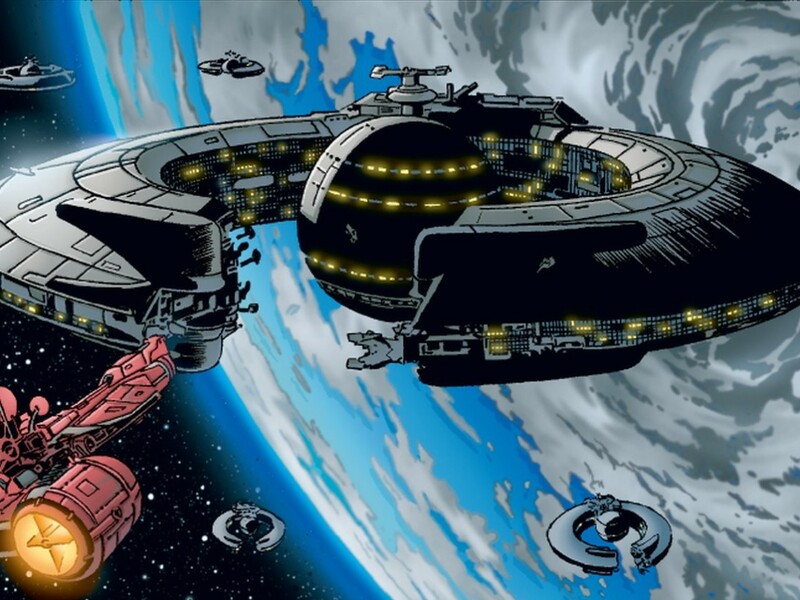 This building, and a smaller domed building next to it, can also be seen in the Special Edition of A New Hope, where a new scene shows the landspeeder arriving and entering Mos Eisley. An extended version of this scene can be seen on the Blu-ray, in which a local Tunisian woman is nearly run-over by the landspeeder and raises her fist in anger to Luke. Slave Quarters Row; from left to right, clockwise: Medenine, Ksar Ouled Soltane, and Ksar Hadada. If your arrival in Djerba the previous day was late and you missed any of the locations, then do so in the morning before setting of southwards on the C108 to Medenine (roughly 45km). 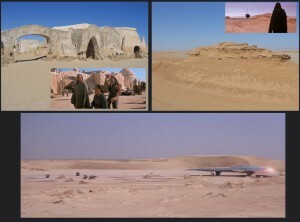 Medenine was one of the three locations used in The Phantom Menace for the Slave Quarters Row where Anakin and Shmi lived. This location is in the middle of the city, and can be hectic to find, but if you keep following the C108, you end up reaching a roundabout near Hotel LOKSSOUr. Take the roundabout and exit on the last possible exit, then take the first exit right and then the next exit right and you should reach your destination. This is the front of their home, where they find shelter from the sandstorm and where Shmi and Anakin said their teary goodbyes. 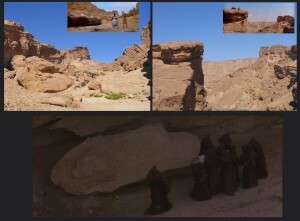 The Gorfas you see are used as CGI backgrounds in various shots. Ksar Ouled Soltane, resting on a hilltop, was originally used as a granary vault and is the second location used for the Slave Quarters Row. From Tataouine it is a 22 km. drive that takes 20-30 minutes along the Maztouria Loop to reach Ksar Ouled Soltane. From Tataouine take the C207 that passes by Ksar Hadada, but as soon as you reach the city, take a right turn. This long road goes through the entire city and ends back up at the C207. Along this road you will see the third location used for the Slave Quarters Row. You know you have reached the right location when you arrive at a plaza with a mosque to your left. This location was used for the balcony scene where Qui-Gon Jinn and Shmi discuss Anakin while he is working on his Podracer. Return to the C207 and keep following it, eventually you reach a roundabout with an exit to the C114 towards Beharya, take the exit. Drive trough Beharya and keep following the C114 until you can take a left and drive up the C104. The C104 takes you straight to Matmata. 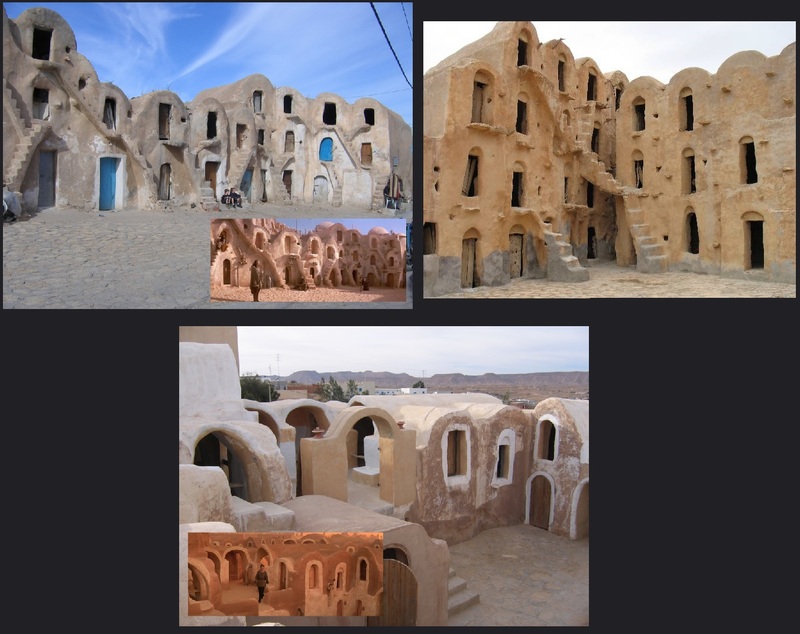 In Matmata you must book yourself a room in the Hotel Sidi Driss because this hotel is where the cast and crew filmed the interior scenes of the Lars Homestead. 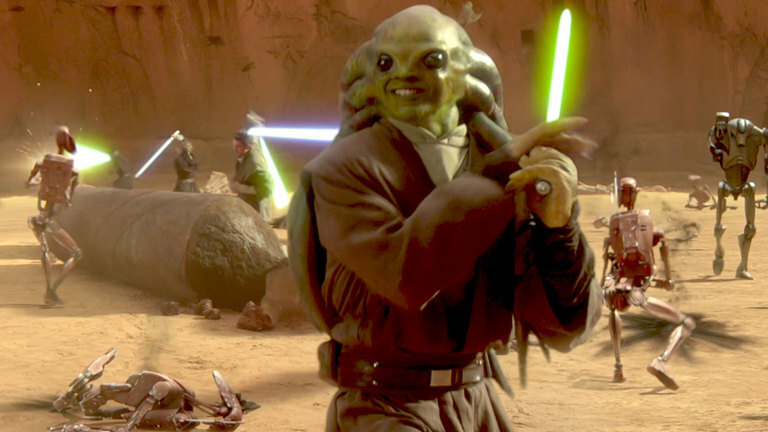 Ever since the return in 2000 to shoot scenes for Attack of the Clones, the set decorations mostly stayed in place except for the larger items like the moisture vaporators. An unique experience that the hotel offers, when asked, is the possibility to dine in the original Lars dining room from the movie, with the well-known mural properly restored since 1995. The opening in the room leads to Beru’s kitchen. To see how it looks like these days, follow this link to see Ewan McGregor (Obi-Wan Kenobi in the prequels) visit this location for his road trip show The Long Way Down. They arrive there around the 6:50 time mark. 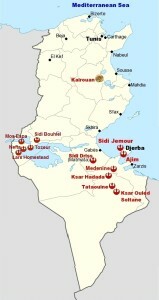 Some of the Sidi Bouhlel locations. Drive from the Hotel Sidi Driss to the C104, and follow that road in the direction of Douz. At Douz make a right turn, entering the C206 that takes you to Qibili. There you need to pay attention while you cross the small city to make sure that you end up on the P16 leading to Rasta and Oum Somaa. If you see the Institut Supérieur des Etudes Technologiques de Kébili on your right hand side, then you have gone the wrong way. The P16 then is a mostly straight road that takes you through the massive salt lake of Chott el Djerid to Sidi Bouhlel. Sidi Bouhlel: After such a long distance it is nice to stretch the legs, and the next locations can be found in the area surrounding Sidi Bouhlel. Take the first road to the right that you come across when arriving from the P16 at Sidi Bouhlel. This is a road leading to Bouhlel Sdada, however before you reach there you will see a road going left. This road takes you to what has become known as Star Wars Canyon due to many iconic locations that were filmed there. First up is actually the end of the road and the place where you have to park your car. It was here where the underside of the partially build prop of the Sandcrawler stood when our heroes discover the attacked Jawas, who they decide to give a proper burial. GPS coordinates: 34° 1’56.50″N, 8°16’57.89″O. At GPS coordinates 34° 2’1.19″N, 8°16’54.40″O you arrive at the so called Jawa Rock, which is the spot where the Jawas ambush Artoo to take him prisoner. Also filmed here is the scene from Indiana Jones and the Raiders of the Lost Ark where Indy threatens to blow up the Ark with a bazooka along with Belloq and the Nazis. At 34° 2’10.28″N, 8°16’49.53″O you will find the rocks where the Tusken Raiders attack Luke before being scared away by Obi-Wan Kenobi. 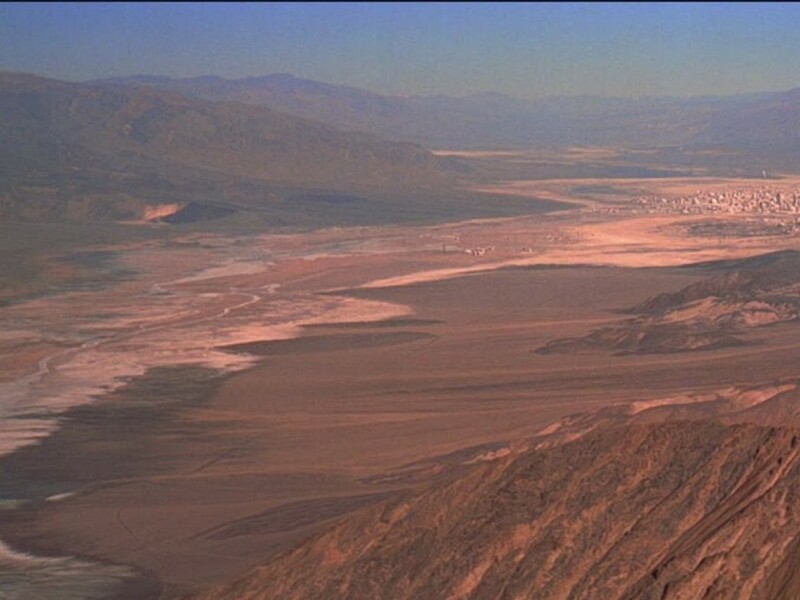 At 34° 2’20.24″N, 8°16’41.39″O is the place where our heroes are seen watching towards Mos Eisley, this is not to be confused with the point of view shot from them that happens a few seconds later in the scene, which was filmed in the USA. Nearby, at 34° 2’21.31″N, 8°16’40.63″O, is where the Tusken snipers were taking aim at the approaching landspeeder. To the east you can find another Indiana Jones location, namely the Tunis dig site. GPS coordinates are 34° 1’46.95″N, 8°17’39.85″O and page 86 of The Complete Making of Indiana Jones offers a detailed description on how to reach this destination. Drive back to Sidi Bouhlel, follow the P16 towards Dgauche/Daqas, where it turns into the C106 that takes you to Tozeur. Find a hotel here or in Nefta/Naftah, which is an additional 25km up along the P3. From left to right, clockwise: Mos Espa set, Camel Rock & Yardang Field. Nearby Nefta is La Grande Dune (GPS: 33°52’16.05″N, 7°45’33.21″O), which was used for the Dune Sea and the Krayt Dragon Ridge and the part of Chott el Jerid where the Lars Family Homestead exteriors are filmed. You can find the igloo at 33°50’34.42″N, 7°46’44.48″O. From Nefta there is a road heading north that takes you to the remains of the Mos Espa set (GPS: 33°59’39.51″N, 7°50’33.69″O). A little to the east is Chott el Gafsa & Yardang Field (GPS: 33°59’39.35″N, 7°50’59.47″O), the location where the Queen’s Royal Starship from The Phantom Menace had landed, and where Qui-Gon Jinn fought against Darth Maul for the first time. Talking about Darth Maul, his landing site is not much farther, at GPS coordinates 34° 0’57.66″N, 7°54’44.97″O. This is a mountain range called Oung Jamel, also known as Camel Rock. This concludes your trip trough Tunisia when it comes to the Star Wars shooting locations. After the locations & what else to do in Tunisia? There are quite a few options on what you could do from this point on. Regardless if you found a hotel in Nefta or in Tozeur, you could book a flight back home, flying from the Tozeur-Nefta International Airport. If you bought a two-way ticket from Djerba–Zarzis International Airport, then you are up for a long five- to six-hour drive, so it is advisable to stop along your way at Gabes and enjoy a relaxing beach holiday there. Also recommended is that you drive to Kairouan (292km, 4 hrs), which was used in Indiana Jones and the Raiders of the Lost Ark to portray Cairo. From there go to Tunis, sleep at Hotel Du Lac (which is shaped as a sandcrawler), visit Carthago (lots of ruins from ancient Rome time) and fly back home from Tunis-Carthage International Airport. 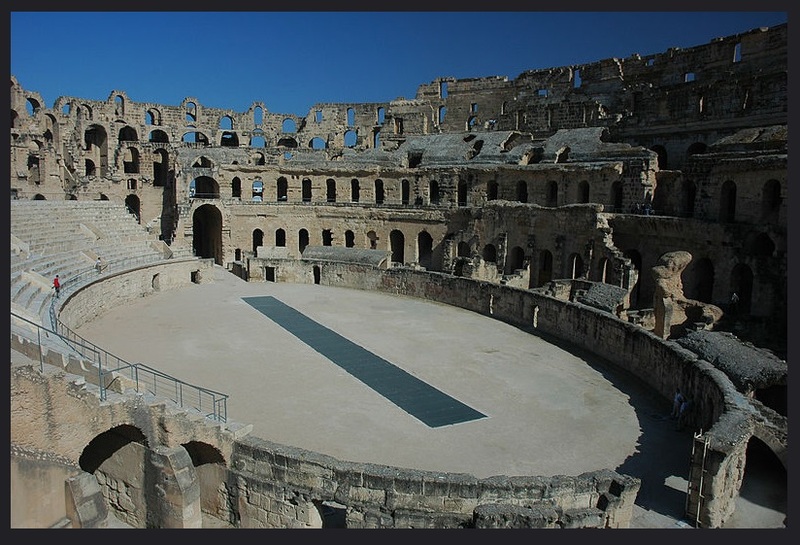 For the fans of the Roman Empire and it’s culture, El Djem holds an impressive amphitheater, which could make a nice detour on the way to Tunis. Douz is also called the Gateway to the Sahara, the world-famous desert that you can experience from this city by camel or four-wheel-drive. Douz is roughly a one hour, 30 minute drive from Matmata (when the road is good), or two hours from Tozeur. 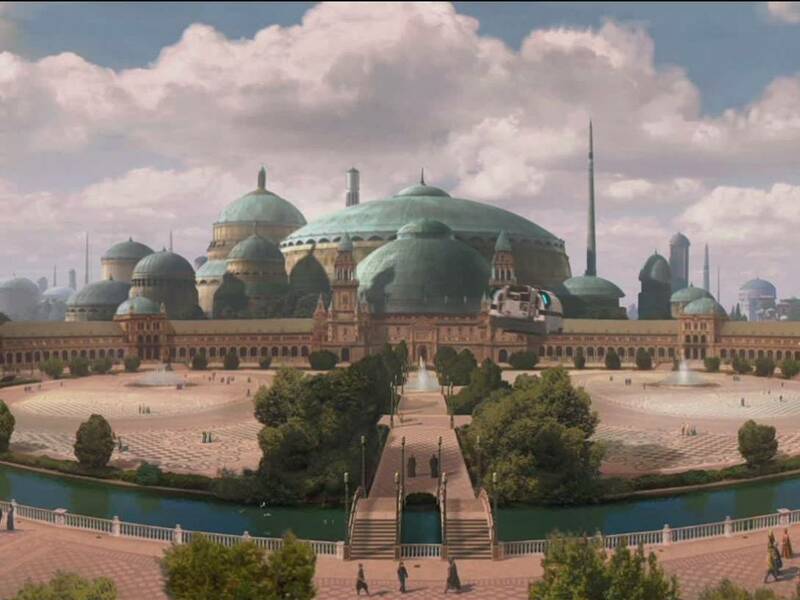 Join us next time for a trip to Spain to see a side of Naboo that we did not explored before! Map courtesy of Wikimedia Commons, adapted by Stefan Pfister. Special thanks go out to Gus Lopez, who made this trip in 2007 and was so kind to let me use his images. For more images go to his Flickr page. Other thanks go to Colin Kenworthy, a veteran traveler to many locations whose brain I was glad to pick for knowledge that I was missing or unsure of. Sander de Lange (Exar Xan) from the Netherlands has done research for the Rogues Gallery feature in Star Wars Insider under the supervision of Leland Chee. 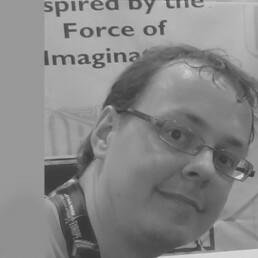 He is an editor for TeeKay-421, the Belgian Star Wars Fanclub, he’s an administrator for the Star Wars Sourcebooks page on Facebook and has written the backstory for Niai Fieso through “What’s the Story?”. Recently he finished his Tourism Management study and he cannot wait to work in the tourism industry.